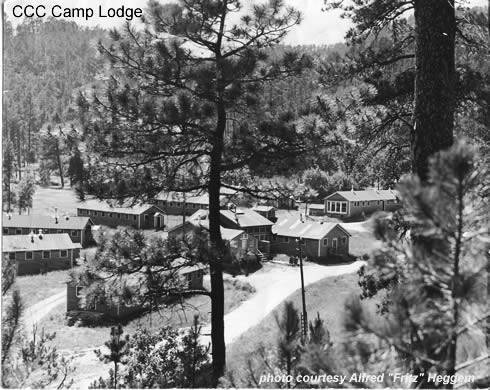 Camp Lodge was located on the Spokane cut-off road (Road 753) on Grace Coolidge Creek about 9 miles north of the Game Lodge on the Needles highway (S.D. Highway 87) and 12 miles northeast of Custer. Built in an elk and deer pasture, the camp site was about 1/4 mile east of Road 753 in a bend of the creek on a nearly level, open, grassy area surrounded by pine covered hills. It was well protected from severe weather (1935). The original buildings included company headquarters and supply, recreation building and camp exchange, latrine, bath house, laundry, hospital, mess hall, kitchen and commissary, nine 25-man barracks, officers' quarters, foremen's quarters, well and pump house, power house, incinerator, state shops and garages, and a garage for army cars (1935). The camp was opened July 16, 1934 as a drought relief camp and designated Camp DSP-2 in 1934. As with all drought relief camps, the designation was changed the next year. It was closed July 30, 1942. 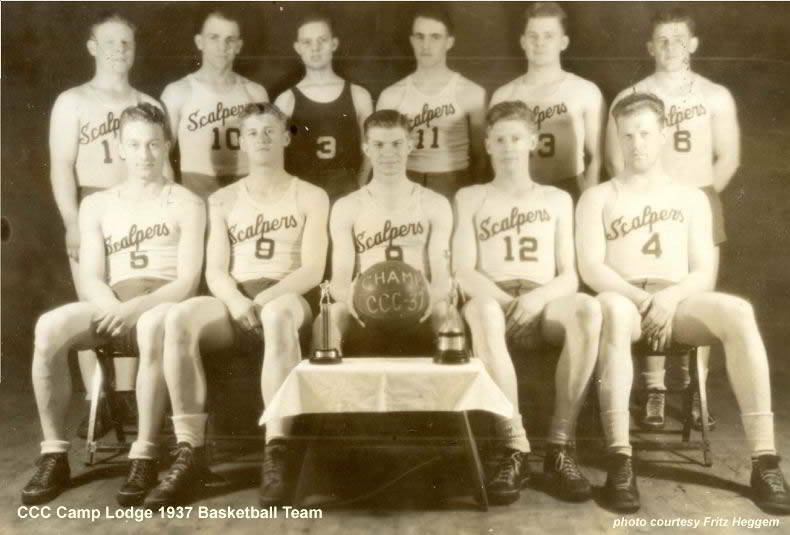 Camp Lodge is the only camp in the state that is still intact. 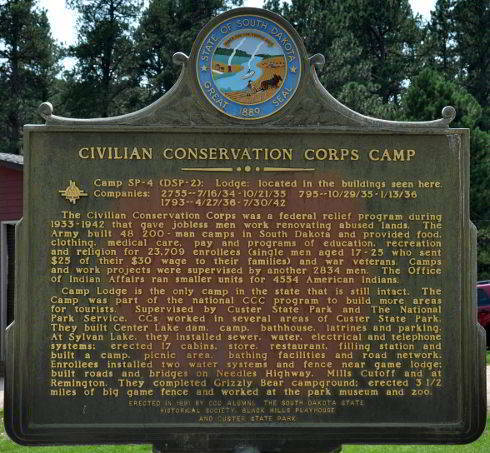 The camp was part of the national CCC program to build more areas for tourists. 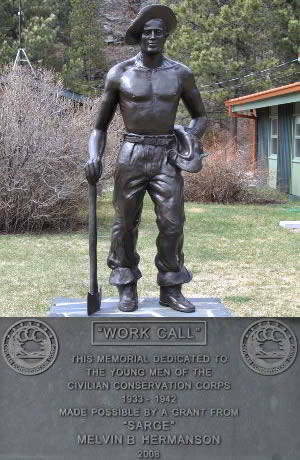 Supervised by Custer State Park and The National Park Service, CCs worked in several areas of Custer State Park. They built Center Lake dam, camp, bathhouse, latrines and parking. At Sylvan Lake, they installed sewer, water, electrical and telephone systems; erected 17 cabins, store, restaurant, filling station and built a camp, picnic area, bathing facilities and road network. Enrollees installed two water systems and fence near game lodge; built roads and, bridges on Needles Highway, Mills Cutoff and at Remington. They completed Grizzly Bear campground; erected 3.5 miles of big game fence and worked at the park museum and zoo. Camp Lodge is home to Black Hills Playhouse. Only two original buildings remain; the concession building and a housing unit currently used for costume changes. The building used for costumes is set for demolition.